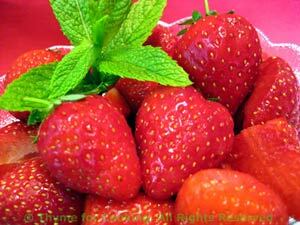 Fresh Strawberries with White Balsamic Vinegar, a simple, healthy, dessert. Rinse strawberries. With your fingers, pull the stem end and leaves off. Add strawberries and toss to coat. Refrigerate 30 minutes.